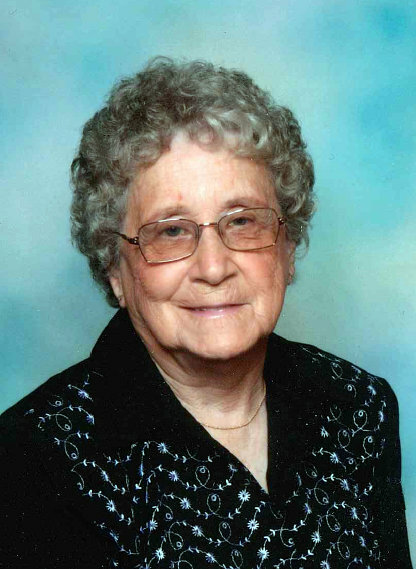 Funeral services for Mary “Burnett” Sharp, 88, West Plains, Missouri, will be held at 2:00 p.m., Sunday, November 11, 2018 in the Rose Chapel at Robertson-Drago Funeral Home. Mrs. Sharp passed away at 4:02 a.m., Tuesday, November 6, 2018 at her home. She was born June 18, 1930, in Ozark County, Missouri, to William Thomas Birdsong and Lucy Viola Owens Crawford. She was married to Eugene Strong for thirty-eight years and in later years, she was married to George Anderson. Mrs. Sharp was employed at Hallmark Cards in Lawrence, Kansas for several years and Baxter Lab in Mountain Home, Arkansas. She made quilts for her children and grandchildren and was famous for her cherry-go-rounds, fried pies and popcorn balls, which she enjoyed sharing with her family and friends. Mrs. Sharp loved going to bluegrass festivals and yard sales in her spare time. She is survived by six children, Al Strong, Dora, Missouri, Sandra Pendergrass and husband, Larry, Dora, Missouri, Mike Strong, West Plains, Missouri, Pam Luna and husband, Bob, Dora, Missouri, Janice Robertson and husband, Jerry, Kingwood, Texas, Connie McIntosh and husband, Duke, Drury, Missouri; fourteen grandchildren, Jeff Strong, Jesse Strong, JoDee Clarkson, Cody Strong, Debbie Strong, Kevin Luna, Rick Luna, Donnie Luna, Brad Green, Kristi Halseth, Brandon McIntosh, Cheyenne McIntosh, Traci Lee and Roger Pendergrass; twenty-six great-grandchildren; and eleven great-great-grandchildren. Her parents, husband, Hezekiah Sharp, three brothers, one sister and a very special granddaughter, Tina Pendergrass, preceded her in death. Visitation will be held from 5:00 until 7:00 p.m., Saturday, at Robertson-Drago Funeral Home. Burial will be in the Oak Lawn Cemetery. Memorial contributions may be made to Fair Haven Children’s Home or St. Jude’s Children’s Research Hospital and may be left at Robertson-Drago Funeral Home. I want to express my deepest sympathy to you upon the loss of your Grandmother, Mary. You will be in my daily thoughts/prayers. May God comfort, encourage, and support you through this difficult time. May God bless you. Ronnie and I send our sympathy to the children and grandchildren of Burnett. We’re very sorry for your loss. Connie and family: We are so very sorry for your loss. You are in our thoughts and prayers.